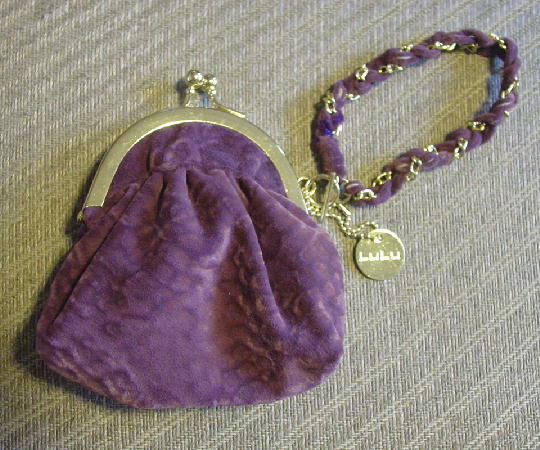 This very soft brushed cotton purple-mauve color little evening bag has a gold-tone rim and bypass closure. It has a side wrist gold-tone link chain handle with fabric woven with the links. There is also a little gold-tone chain and a circular tag with LuLu etched on both sides. It has a muted light purple fabric lining. It will hold a cell phone, keys, lipstick, credit card, and small mirror.